The most significant function of the Office of Information and Regulatory Affairs (OIRA) within the Office of Management and Budget (OMB) is reviewing agency rulemakings, including weighing a proposed rule’s economic costs to industry against its public benefits. This is no minor responsibility. As the Government Accountability Office (GAO) has found, OIRA review “can have a significant—if not determinative—effect on a broad array of federal regulations.” Indeed, OIRA reviews often result in changes, reconsideration, or full withdrawal of agency actions. While the value and appropriate scope of OIRA review has been the subject of intense debate, the value of such review (regardless of scope) necessarily relates directly to the quality, thoroughness, and integrity of its analysis. Without a commitment to sound, robust, and fact-driven examination, OIRA review can offer nothing of genuine worth. As a result, when OIRA shirks its public responsibility to engage in thorough and reasoned decision-making, its function in government becomes at best pointless bureaucracy, and at worst flagrant political tampering. Under President Trump, and with Neomi Rao at the helm, OIRA has embraced politicized regulatory obstruction as its raison dêtre. It has seemingly abandoned any commitment to professionalism and objectivity – turning its back on the core value of “neutral competence” – and has rubber stamped politically driven agency actions divorced from methodological integrity or thorough technical analysis. The office, in effect, has abdicated its responsibility to the body politic and to the American people, in service of a corporate-driven deregulatory ideology. A practice that Rao brags about, perhaps unsurprisingly in light of her ideological zeal and the radical nature of her past writings. OIRA’s shameful treatment of recent EPA rules illustrates the perfidy of its current leadership. In the instance of EPA’s proposed gutting of the Mercury Air Toxics Standards (or MATS) – rules that save as many as 11,000 lives every year across America, and prevent hundreds of thousands of hospitalizations, asthma attacks, and missed school and work days – OIRA greenlighted EPA’s plan to issue a backhanded repeal of the regulations. In doing so, OIRA turned a blind eye to the fact that EPA had conducted no analysis whatsoever of the lost public health benefits of this rule for the American public. OIRA instead went along with EPA’s transparent subterfuge, relying on a legal technicality to claim that EPA was not repealing the rule at all. Not only did OIRA entirely ignore the actual consequences of the agency’s action, it went even further by tacitly adopting a new way of performing cost-benefit analysis that allows OIRA to pretend that the real world benefits of certain rules (including but not limited to the MATS rule) simply do not exist. This unprecedented and frankly outrageous approach to cost-benefit analysis is a one-way ratchet designed to disadvantage rulemakings that save lives and protect the public – a point with which even hawkish Cass Sunstein agrees. Similarly, OIRA allowed actions attempting to delay EPA standards addressing accidental chemical releases and rules limiting emissions of methane – each of which failed to include any meaningful analysis of costs or benefits. These examples (and many others) reflect OIRA’s decision to sacrifice public health and wellbeing in the interest of inflating corporate profits – without any serious demand for the kind of scrutiny that OIRA is meant to ensure. In the end, there are two ways to view OIRA’s failures: either it reflects a lack of skill or understanding on the part of the organization’s leadership, or it demonstrates the leadership’s willful and knowing subversion of the institutional mission of OMB. Certainly, the fact that courts have struck down the vast majority of challenged OIRA-approved rules (including environmental rules) suggests a degree of incompetence. Either way, OIRA’s conduct amounts to a betrayal of the public trust. 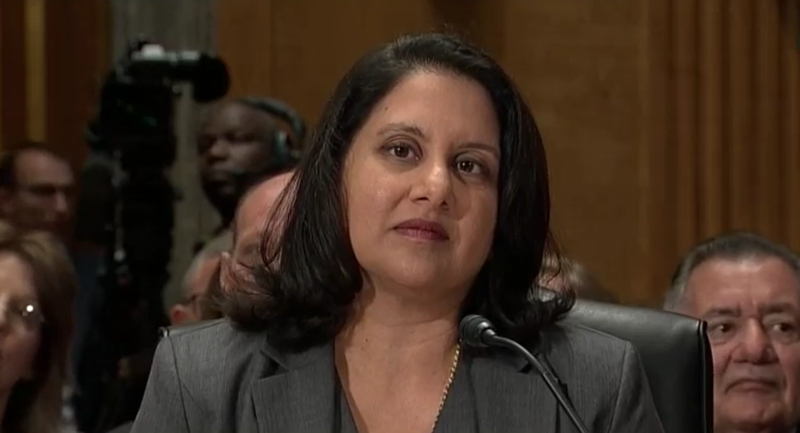 Moreover, OIRA’s malfeasance raises serious concerns for the integrity of the U.S. Court of Appeals for the District of Columbia Circuit – a court to which Trump has nominated Neomi Rao (the figure at the center of OIRA’s credibility gap). The DC Circuit plays a special role in the federal judiciary, both as the court most vital to defining the scope of federal agency authority and legality of their actions, and as a court regularly called upon to render decisions that are fundamentally grounded in the science, data, and technical analysis of expert agencies. OIRA’s willingness under Rao’s leadership to overlook glaring shortcomings in agencies’ consideration of public benefits, costs, impacts and tradeoffs, in the interest of ideologically driven political outcomes bodes poorly for the influence that Rao might have on the integrity of DC Circuit jurisprudence. Given the national significance of the DC Circuit’s rulings, this ought to trouble not just lawmakers in Washington, but everyone who wants their government to be accountable to the people, not just to the powerful corporate lobby. See Curtis W. Copland, The Role of the Office of Information and Regulatory Affairs in Federal Rulemaking, 33 Fordham Urban Law Journal, 101 (2011). See Is this Any Way to Run a Democratic Government, Stephen J. Wayne ed., at p. 137 (2004).